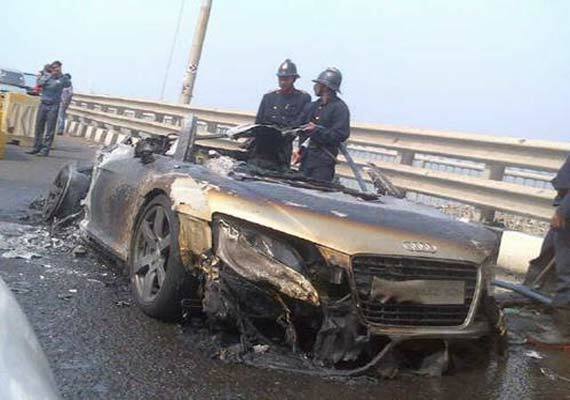 About 3 months earlier, an Audi R8 caught fire and burnt to ashes on Bandra Worli sea link. Again using its effective PR skills, Audi managed to suppress the issue- no one knows the real cause of the fire yet. Summary of the issue is that Mr Harish V had given his Skoda Octavia to a Skoda dealer in Mumbai and even after 1 year, he is unable to get his car back. Dealer was found to replace genuine spares of the car with fake products to the tune of 4 lakhs and when the customer brought this up, he didn’t get the attention he deserved, from Skoda India. When a local consumer court ordered release of the car, Skoda India went to higher court and got a stay. Skoda even threatened to drag team bhp to court if they allow this matter to be discussed on their forum. I sympathize with Harish for the ordeal he had to fight to (Spend 12 lakhs on a premium car, live without it for 1+ year, fight court battle to get it back, spend money again on transportation and suffer mental agony) To know more, head to team bhp thread here and here. If say 10% of teambhp folks or other consumers in particular do the above, Skoda officials will be bound to take notice of the seriousness of the situation.